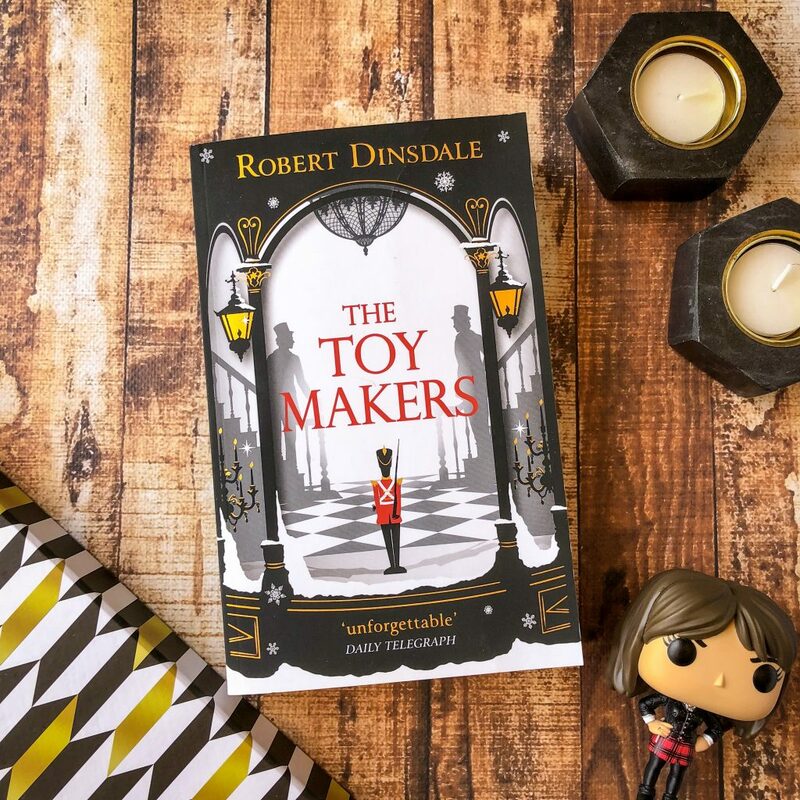 The Toymakers by Robert Dinsdale is an enchanting, rich, emotional novel that is both historical fiction and a family saga. Kaspar and Emil are two brothers who rival each other in their ability to design magnificent toys for their buyers. Their father, Papa Jack, spends a lot of his time in his workshop and doesn’t seem to venture down to the store very often. Both brothers compete with each other in their designs, and their ability to run the store. Additionally, Kaspar and Emil compete for the affections of Cathy, a runaway teenager. She arrives at the Emporium at the beginning of Winter, and she captures the attention of both brothers. Over the coming months, both fall in love with her. Cathy is enchanted by the store and the brothers and all of their creations, and soon she chooses between the brothers. The Toymakers reminds me of The Night Circus, so if you liked that novel then you’ll most certainly love this one. It’s filled with wonder, imagination and magic, with rich characters that leap off the page and a story that encompasses decades. The Toymakers takes us from 1917 to 1953, documenting the ups and downs of The Emporium and the magic within it. A major turning point in the novel is when Kaspar leaves for war and comes back a broken man many years later. His relationship with Cathy devolves, and his connection with his brother Emil appears to sever. This is a novel for grown ups — adults who loved toys as a kid and loved the wonder of the unknown. This is for anyone who fell in love with gadgets or figurines or games, and who loved spending their pocket money in toy shops. The Toymakers is probably too advanced for a child to read, but the plot is friendly enough to young eyes in case they do decide they want to give it a try. The writing is poetic and lyrical, flowing between paragraphs and allowing the reader to settle into the story easily. The Toymakers takes us on an enjoyable ride, not just within the walls of the shop but within London as well. Robert Drinsdale has packed so much into one book — this book moves through time quite quickly and so we follow Cathy through most of her life. I did feel that Papa Jack could’ve been a much stronger character. Considering that this was his Emporium and he was known for his marvellous creations, he felt a little dry in the book and he didn’t seem to inspire or intrigue me at all. I found him quite mundane, actually. Set in London in the 1900s, I recommend The Toymakers to those of you who love magic and all the possibilities of our imagination. This is as much a character-driven story as a plot-driven story; we experience the highs and lows of the Emporium family and the layered relationship between Emil and Kaspar. There is also a surprising twist at the end of the book that I rather enjoyed. Wonderful website you have here but I was curious if you knew of any message boards that cover the same topics talked about here? I’d really like to be a part of online community where I can get opinions from other experienced people that share the same interest. If you have any suggestions, please let me know. Kudos!